That said, I've often wished for holidays that would celebrate our food pets! Over the years, I've made a list of fun holiday proposals that would pay tribute to our edible pets, and would make us smile. Chocolate Day already exists. What about the other food colors? These are some of the holidays that I think would be a great idea on the Neopets site! They're based on the food pets that we all know and love, and I honestly think they have a chance of being implemented on this website someday! Maybe you’ve heard of these items, but I also think some of you may not have! For that reason, I want to highlight them, explain what makes them so underrated and fantastic, and give you some brief recommendations as to which other items pair well with them, as well as pets that might highlight these items’ best features. Remember, there is no right or wrong way to customize these items or your pets. You do you, but maybe you’ll do you with these items in mind! The Skirmishes began after the War of the Obelisk Plot ended in Year 15. The factions ended with an amicable truce... but nothing good can last very long, especially with underlying tensions running high. Shortly after the end of the war, the skirmishes regrouped. Some could not let go of old grudges, while others found the thrill of battle to be compelling. I always suspected that my Grundo had a sadistic streak. Years of serving as a commander in Dr. Sloth’s galactic marine corps will probably do that to you. But my hunch was confirmed the day Dark_breed_Hyren brought home an Adventure Generator. I was sprawled on one of the library couches in our Neohome, reading, when the little blue guy walked in and spread a scroll of parchment across the table. He looked it up and down and nodded satisfactorily, and uncorked a bottle of ink. Hyren never was much of a writer, preferring to let his swords do the talking, so this peaked my interest. “What are you doing?” I asked from behind my copy of Destruct-O-Match Basics—that fiendish avatar keeps eluding me. “Making a Neoadventure,” he said, dipping his pen. I quirked an eyebrow. “That’s new.” “I had an idea for one,” he said as he started to write. Sitting up, I said, “Can I play it?” “Sure,” he said, “when it’s done.” And he wouldn’t let me or his siblings so much as peek at it before then. For the better part of a week I tried to distract myself with reading, housework, and Frosted Uni Cookies. Lots and lots of Frosted Uni Cookies. Finally, as I sat at the kitchen table on a rainy afternoon nibbling at a strawberry Frosted Uni Cookie and contemplating how great life was, Hyren pulled out the chair across from mine and nudged the scroll toward me. “Okay, I think I’ve got it pretty much figured out,” he said. Glancing aside, he cleared his throat. “I, uh, could use your help with the editing. I’m not really one for prose.” He paused. “And I kind of want to submit this to the Adventure Spotlight, so it needs to look its best.” “No problem,” I said, wiping the crumbs off my fingers to unroll the parchment. I don't know why it had sounded like a good idea. Maybe because Neoschool was over, all of my pets were happy, and because I'm missing several key parts of my brain that keep me from making bad decisions. Yeah, that's got to be it. Because there I was, half way into the month of Relaxing, stressing out over the vacation we were all packing for. I had booked us rooms at the beach resort on Mystery Island. I must have forgotten how hard it was to manage ten Neopets at home. Now we were all getting ready to jump on a ferry to start our vacation, and my Neohome was in shambles. Well, it was more shambolic than usual. "Ema! My sunscreen spilt!" Hollered Ritonie, my Lupe, from the top of the stairs. "Scoop it out and share some with your sister!" I cried, bending and picking up Lullabie, my baby Skeith, from her playpen. She'd been chewing on the bars again, and I made a mental note to replace it once we got home. And since I didn't have any hands to write it down, it probably would never get done. Oh well. "Have you seen my flipflops?" "Ahh! There's sunscreen in my eyes!" "Ema said to put some on you." "Are we stopping for lunch?" "No!" I bellowed, adjusting Lullabie on my hip, my other side weighed down by several totes and a duffle bag. "We're eating on the ferry! Let's go!" I looked at the Techo clock on my wall and frowned. We needed to be there in ten minutes, otherwise we were landlocked, and I was out a good chunk of Neopoints. "Five minute warning!" I screamed, ambling towards the door. There was an avalanche of suitcases and Neopets as they all tried to get down the stairs at once, and after a glance over, I deduced all were alive, and therefore still able to travel. Kayennah the Krawk couldn't believe her luck! Ever since she was a little Krawk, she had eagerly looked forward to the Altador Cup every year but, being so young, she'd had to content herself with sitting outside the stadiums, straining to hear above the frenzied crowds in an effort to decipher what might have been happening on the pitch. She had been in a rush to grow to an age where she could finally enter the stadium and watch the matches from the stands, cheering on her beloved team Meridell. However, she had given little thought to how she would be able to afford match tickets. In fact, this small detail hadn't even occurred to her! So the start of the Altador Cup XI had been marred with disappointment that had come with the realisation that match tickets were most definitely out of her price range, given her paltry student budget. But Kayennah the Krawk was not a quitter and some ingenious quick thinking had found her enquiring at one of the Slushie stands if they needed any extra help over the Cup season. And miracle of miracles, Kayennah was hired! Yes, Kayenneh couldn't believe her luck! Not only was she going to be able to watch the matches, she was even going to get paid for it too! All she had to do was serve the odd slushie here and there. What could be easier than that? On her first day, Kayennah could hardly contain her excitement. 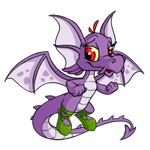 She was one of many new trainees and, as she stood in line waiting for her new uniform to be handed out to her, she turned to the Neopet behind her. "Isn't this a dream come true?" she enthused. "Isn't the Altador Cup just the most exciting event in the whole Neopian calendar?" Alas wasn’t the same after that night. She had been infused with a new vigor and a determination to get back to that room. Alas discovered that the Stone’s words did ring true, and every night that she returned to Bart’s Apple Bobbing Cart, she found herself once again embroiled in the nightmare she had always dreamed of. I always suspected that my Grundo had a sadistic streak. Years of serving as a commander in Dr. Sloth’s galactic marine corps will probably do that to you. But my hunch was confirmed the day Dark_breed_Hyren brought home an Adventure Generator.